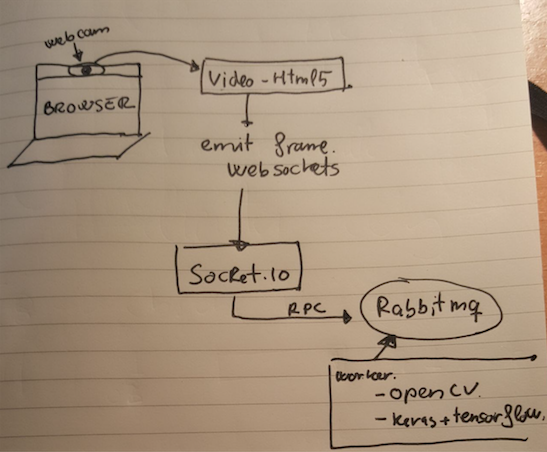 Posted on May 7, 2018, in js, opencv, Python, RabbitMQ, socket.io, Technology, Websockets and tagged html5, js, keras, node, opencv, Python, RabbitMQ, tensorflow, websocket. Bookmark the permalink. 1 Comment.